What is the National Association of Securities Dealers (NASDAQ)? The NASDAQ is the acronym for the National Association of Securities Dealers Automated Quotation Systems, though the organization has dropped the Automated Quotation Systems part of the name as obsolete. This NASDAQ is the country’s second largest stock exchange. It represents the principal rival to the NYSE, or New York Stock Exchange, which is the largest stock exchange in the country and only one larger than it. The NASDAQ is also the largest equity securities trading market in the U.S. that is based on an electronic screen. When market capitalization, or the value of its stock per share multiplied by the number of outstanding shares, is considered, it is the fourth largest trading exchange in the world. 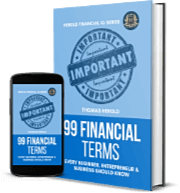 The NASDAQ actually records a higher trading volume than does any competing electronic stock exchange on earth with its actively traded 2919 ticker symbols. NASDAQ became established in 1971 by the NASD, or National Association of Securities Dealers. 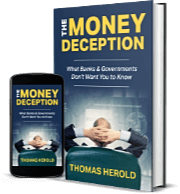 The system originally represented the successor to the OTC, or Over the Counter traded market. It later developed into an actual stock exchange of sorts. By 2000 and 2001, the NASD sold off the NASDAQ into the NASDAQ OMX Group, who presently own and operate it. Its stock is listed under the symbol of NDAQ since July 2 of 2002. The FINRA, or Financial Industry Regulatory Authority, oversees and regulates the NASDAQ stock market exchange. The NASDAQ made major contributions to the world of electronic stock exchange trading as the first one of its kind on earth. When it began, it started out as a computer bulletin board system that did not literally put buyers and sellers in touch. Among its great achievements, the NASDAQ proved to be responsible for decreasing the spread, or the bid and the asking prices’ difference for stocks. Many dealers disliked the NASDAQ in the early days, as they made enormous profits on these higher spreads. In subsequent years, the NASDAQ evolved into a typical stock exchange through adding volume reporting and trade reporting to its new automated trading systems. This exchange became the first such stock market in America to advertise to the public. They would highlight companies that traded on the NASDAQ, many of which were technology companies. Their commercials closed out with the motto the stock exchange for the nineties and beyond, that they eventually changed to NASDAQ, the stock market for the next one hundred years. The NASDAQ is set to become a trans Atlantic stock exchange titan with its purchase of the Norway based OMX stock exchange. This will only enhance its European holdings that presently include eight other stock exchanges throughout Europe. Besides its NASDAQ stock exchange in New York City, the group possesses a one third stake in the Dubai Stock Exchange in the United Arab Emirates. With its double listing arrangement in place with the OMX exchange, the NASDAQ OMX is set to become the major competitor for NYSE Euronext in bringing in new listings. 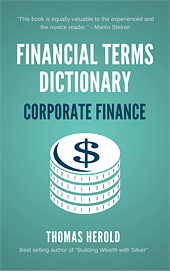 The term 'National Association of Securities Dealers (NASDAQ)' is included in the Corporate Finance edition of the Financial Dictionary. You can get your copy on amazon in Kindle or Paperback version. See more details here.